Why is Lovesexy probably Prince’s least-heralded, least-mentioned album of the 1980s? Even Dirty Mind, Controversy and Batman seem to get a better rap these days. So Prince shelved The Black Album – Lovesexy was the speedily-recorded, musically-rich antidote. It’s one of the most challenging albums of Prince’s career but also one of the most rewarding. From the opening synth chords and Ingrid Chavez’s brief ‘poetry’, it’s clear that this is something pretty special. And different. The horn arrangements are downright loopy throughout. Discordant, dissonant. Instruments are layered to sometimes disconcerting effect. Comparisons to Zappa are not inappropriate. Prince also dials in a lot of his spiritual concerns, with God competing against the Devil (or ‘Spooky Electric’), the purity of the spiritual life competing against the sins of the flesh. With a few jokes. For many, including saxophonist Eric Leeds, the result was a bit of a mess: ‘I thought it was going to be a great album, but when I heard the final mixes, I was very disappointed. 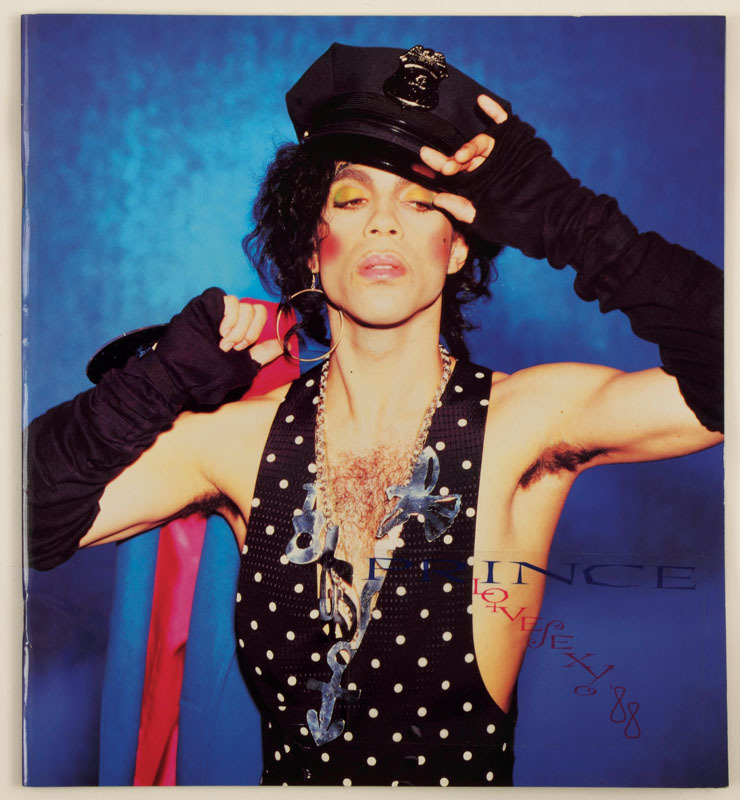 I thought he had completely over-produced the music…’ But the savvy so-and-so that Prince was, he was also careful to throw in three of his most irresistible, ‘throwaway’ pop tunes – ‘Alphabet Street’, ‘Dance On’ and ‘I Wish U Heaven’ – and one of the finest ballads of his career, ‘When 2 R In Love’. At once scary, profound, silly, funny, romantic and outrageous, Lovesexy still sounds fantastic 30 years on. It was Prince’s first UK number one album and spawned probably the best tour of his career. Here’s how prolific he was at the time – Sign ‘O’ The Times had only come out a year before. And many in Prince’s camp believed that the Sign album and tour had a lot more legs, and that releasing Lovesexy so soon killed them off. We’ll never know. But we do know now that he was coming towards the end of his Purple patch. Summer 1989. Change was in the air. A new decade beckoned. De La Soul, acid house, Madchester, Kylie/Jason/Bros and New Kids On The Block were in. School was out…forever. Sixth-form college beckoned – but not quite yet. There was tennis to be played, Thunderbird wine to be drunk and music to be bought/played. I was listening to Stevie Wonder’s Talking Book, Prince’s Batman and Sly Stone’s Fresh. And Bebop Moptop, Danny’s underrated second album. Apparently they turned down a few big-name US producers to helm the album themselves, and some might say they could have done with a slightly tighter quality control check. But for my money this more than justifies the potential of the debut. ‘Imaginary Girl’, ‘Loneliness’ and ‘The Ballad of Shirley MacLaine’ are dramatic torch songs taking Sinatra as their starting point, while ‘Never Gonna Be The Same’, ‘If Everything You Said Was True’ and ‘Goodbye Shanty Town’ are superb updates of the Steely style, the latter even throwing in some great ‘New Frontier’ sequenced synths. ‘If You Really Love Me Let Me Go’ beautifully captures the subtlety and craft in their method; check out the passing piano chords that enjoin the various sections, livening up what could easily be a humdrum progression in another band’s hands. The heavy lead guitar and synth bass of ‘Charlie Biz’ suggest the lads had been listening to Prince’s Lovesexy. ‘Second Summer Of Love’ is a super-catchy, throwaway folk pastiche, and the only hit from the album, reaching UK number 23. Slightly less successful are ‘I Can’t Wait’ and the shambolic ‘NYC Shanty’, but no matter; they can’t stop this from being a first-class album with songs that are built to last. Although Bebop Moptop reached number 24 in the UK album charts and sold more than the debut album, the lads went their separate ways after the promotion work was done and a few live dates undertaken. I saw them at the London Town And Country Club in autumn 1989 where a lavish, no-expense-spared backing band superbly recreated almost every nuance of the two albums. Gary Clark resurfaced four years later with a fine solo album Ten Short Songs About Love, which could almost be viewed as Danny album number three as it featured sizeable contributions from both Kit Clark and bassist Ged Grimes (currently the bassist for Simple Minds).